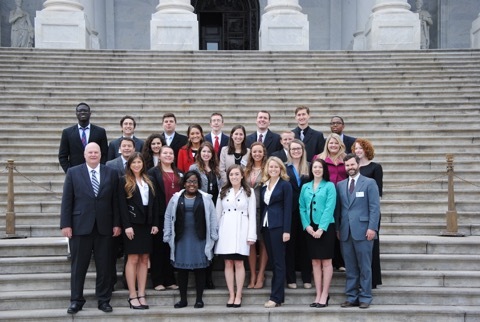 The Stennis Montgomery Association (SMA) is a student organization that encourages students of every background and academic discipline to participate in politics. The SMA serves as a resource for students who want to register to vote and get involved in the political process of their community and nation. Throughout the year, we help sponsor various speakers on campus and provide workshops that guide students through the application process for internship positions in Washington, D.C., and other places. Each year, the most active members of the Stennis Montgomery Association take a trip to our nation's capital, Washington, D.C.
To learn more about the Stennis Montgomery Association, visit their web site by clicking here.